This is been going around the Internet the last week, and I have to say, it's brilliant. I especially like the fact that it keeps on referring to how well the drummer players. As drum legend Buddy Rich once said, "You can't have a great band without a great drummer!" Truer words have never been spoken. In the end, the problem with thinking about quitting a band is very similar to thinking about quitting a job. Once the thought gets in your head, you've already committed and it's only a matter of time before it happens. Proceed down that road with caution (especially if the band has a great drummer). A couple of months ago a young songwriter sent me some songs to critique. His performance was great, the arrangement and production was cutting edge, and the song had a great melody. The only problem was that his lyrics were so "moon, June, swoon, bloom" that I almost felt embarrassed for him. This was a guy that definitely needed a co-writer or a big life lesson to deepen his lyric content a bit. That's why this post from Songtrust is so appropriate. It's sort of tongue and cheek, but it's actually really right on. 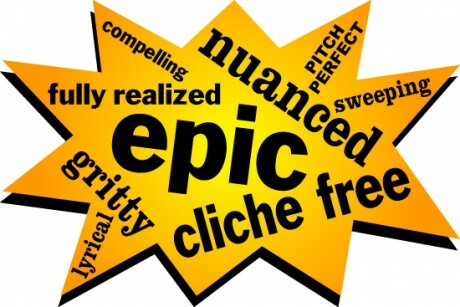 There are so many things in this world to write about, so stay away from these 15 cliches! Don't you feel better now that you got that out of the way. Good, remember, you've been warned! I've been getting a lot of emails lately about becoming a studio musician, so I thought that this excerpt from The Studio Musician's Handbook might be appropriate. It's about the 16 ways that playing in the studio is different from playing live. "You’ve probably had a lot of experience playing live, but playing in the studio is a distinctively different experience. The thought process is different, the mindset is different, the approach is different, and the chain of command is different. 1. Repertoire - Most live gigs rarely change repertoire without rehearsal. A session musician has to be ready to change material on the fly. Not only are they are expected to learn it “on the fly,” but also come up with the appropriate parts that will help make the song not only as memorable as possible but as accessible and pleasing to not only the artist and producer but to listeners who may make the song part of their lifetime’s musical soundtrack. No pressure!!! 3. Equipment - The gear you use on a gig won’t always translate to the studio. You choose the gear for a gig based upon versatility, durability and general ruggedness. The only thing that counts in the studio is the sound. While one size might fit all on a gig, it usually makes for a boring recording, especially if you’re recording multiple tracks or more than one song. The studio requires a wide range of sonic possibilities, so you’ll need to bring different guitars, amps and pedals to get there. 5. Nuance - The little things count in the studio. Everything you play can be critical so nuances are just as important as the body of what you’re playing. When you play live the nuances are usually gone in the wind, overcome by the the stage volume, acoustics and attention of the players and audience. In the studio, everything you play is scrutinized and that’s too much pressure for some players. In the studio, you’ve got to be great every time, every take. 6. The Live ‘Feel” versus the Studio ‘”Feel” - Players well versed in both idioms tend to exhibit more finesse and restraint in the studio and cut loose in a different way. The studio requires the musician to play to a whole different set of variables created by the signal chain after the instrument and the needs of the session. 7. Etiquette - You can get away with being a jerk on a live gig since the other players usually will put up with you (up to a point) as long as you perform well or the audience loves you. Not so in the studio. If you make someone feel even slightly uncomfortable for any reason, chances are you probably won’t be asked back. 8. It’s hard work - That’s not to say that playing or singing on a 4 or 5 hour gig isn’t difficult, but you play a lot of different songs every set and get the glory of audience feedback. In the studio, the only feedback you get is from the producer, artist and maybe the engineer, and 99% of the time they’re analyzing how you can play a part better rather than singing your praises. And the level of concentration is definitely up a few notches. On a gig you can breeze through the music, almost losing yourself in your playing. In the studio, every note counts and requires your utmost attention. 9. Preparation - Live gigs almost always require sufficient rehearsal. Most recording sessions happen with little or no preparation. As a result, a session musician has to be highly adaptable and be able to learn music on the fly. 10. Approach - Studio musicians can be asked to change their approach in the middle of a take! Not so in a live performance. 11. Pace - Early in a session, studio musicians often hear, “We really like what you’re doing but we don’t like the sound. We’re going to change a few things in here.” Rarely, if ever, do live performances stop to tweak sounds, but it’s very common in any recording context for those on the production/engineering side of the glass to stop mid-take and say “You’re doing great but we have to fix a few things.” A session player needs to always be ready to move at the pace determined by the environment. Things may change on the fly from breakneck speed to time-crawling meticulousness. 12. Creation versus Interpretation - Live musicians are usually expected to re-create a pre-existing repertoire, where the studio cats create the repertoire. 13. The Required Skill Set - For rhythm section players, there’s a whole different level of musical literacy required. Not only should one be able to read music well, but the top session musicians can access a variety of styles and feels on a moment’s notice. It also takes a really good set of ears and musical taste buds to make it to the top of the session musician hierarchy. 14. Artist vs. Entertainer - Live musicians entertain, studio musicians create entertainment. It’s like the difference between going to see actors in a play and actors on the silver screen. Both achieve the same end, but theater changes from performance to performance while film is a one-time document meant to stand the test of time and to weather repeated exposures. 15. Venue Variables and Studio Situations - Live performance almost always presents the same circumstances for the musician. His or her instrument(s), collaborators, and set list (see Repertoire above) will usually not change much or without fair warning. Not so in the studio. Except for the great studio bands of the ‘60’s and ‘70’s, studio musicians are used to seeing new faces frequently, almost always play new material, and although the venues change, it’s not in the ways live venues do. The session musician learns to expect change at any moment since the tune can morph and he may be asked to play a different part or instrument. 16. The Live Wolf Pack and the Studio Lone Wolf - Most live performances require a group and a sizable supporting cast, unless you’re a DJ or a solo singer/songwriter. Recording musicians usually convene at a studio, arriving on their own, so a different camaraderie exists than the “We’re all together on this bus!”, mentality of live work. Recording musicians are independent and can work with different people every time they play music. Not usually so for the live players." To read additional excerpts from The Studio Musician's Handbook and my other books, go to bobbyowsinski.com. Everybody knows that Thomas Edison came up with a way to play back recorded sound in 1877, right? That must mean that he was the first to record sound as well, right? If you believed that, you would be wrong. A French scientist known as Edouard-Leon Scott de Martinville actually did the first audio recording 17 years earlier through his invention known as the phonautogram. The thing is, the phonautogram enabled Scott de Martinville to create a visual representation of his voice, but he wasn't able to play it back. All he could see was lines etched in soot by a feather. But an organization called The First Sounds Collaborative found that first recording along with 5 others in the archives of the French Academy of Sciences in 2008 and have been working on a playback system since. Finally they've been successful, and now we all can hear a rather primitive bit clear recording of a voice of a man from 150 years ago singing the French song "Au Clair de la lune." The interesting thing is that although Scott de Martinville never expected anyone to play it back, he did include a recording of a tuning fork along with his singing. Imagine that - the guy was forward thing enough that he included a reference tone recording nearly a hundred years before it became it became a standard practice during the time of magnetic audio tape. You can hear all this for yourself along with a great explanation of the phonautogram at the firstsounds.org website. 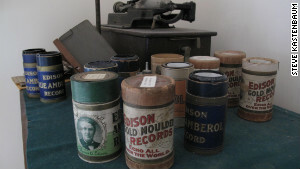 The site is a treasure trove of historical audio information. I've always felt that being a musician was a profession of a higher calling that most others. When you're doing it well, especially with others, there's a metaphysical and spiritual lifting that other professions, nobel though they be, just can't compete with. Now comes research that shows that music, as we have suspected all along, has numerous rewards, from improving performance in school to dealing with emotional traumas to helping ward off aging. These come as a result of the brain biologically and neurologically enhancing its performance and protecting it from the some of the ravages of time thanks to the active participation of the player in the act of producing music. Nina Kraus's research at the Auditory Neuroscience Laboratory at Northwestern University in Evanston, Il. 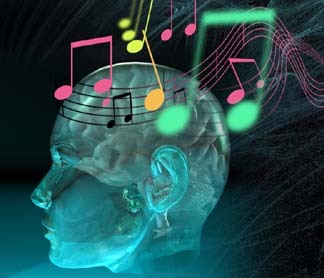 has already shown that musicians suffer less from aging-related memory and hearing losses than non-musicians. They also found that playing an instrument is crucial to retaining both your memory and hearing as you age, and how well you process all sorts of daily information as you grow older. It turns out that just listening to music isn't enough though. You actively have to participate as a player in order to receive any of the benefits. That's as good a reason I can think of to learn how to play an instrument and keep on playing it for life. It's not only good for your spiritual health, but your physical side as well.